One of the most common problems learners of English have during language exchanges is not knowing what to talk about, especially for the first meeting. Both you and your partner are probably feeling extra nervous during that first conversation, and it can be hard to think of things to talk about. That is why it is good to prepare a list of general topics to talk about for your first few conversations. If the conversation flows naturally and you don’t need them, that’s great! But you will feel more confident if you know you have some conversation topics to fall back on. Unless you know someone well, you should talk about safe topics, topics that aren’t likely to be too emotional, sensitive, or raise strong feelings. Topics to avoid include: politics, wars, health-care policies, religion, personal finances, people’s appearance, gun control, abortion laws, corruption, democracy (or lack of it), crime, international relations between specific countries or regions, questions about gender identity, terrorism, racial issues, etc. None of these topics are advisable to talk about with people you don’t know. If you have something to add to the conversation, say it! Don’t just ask questions. It’s natural in conversations for people to take turns asking and answering questions. Feel free to change the topic if you get stuck. Normal conversations change topics all the time. How’s the weather there today? It’s really hot/cold/rainy/cloudy/snowy/stormy/windy/smoggy here today. What’s the weather like where you are? Do you like rain/snow/hot weather/cold weather/windy days? What is the weather like in the spring/summer/fall/winter where you live? Do you have a favorite season? What do you like about it? Do you have anything special planned for the weekend? What do you do for entertainment? (read books, watch cat videos on youtube, watch films and tv series). Do you watch much TV / Youtube? Do you have any favorite TV series / films / movies? What kind of movies/films do you like? Do you have a favorite character from TV or film? Why do you like him/her? What’s the most memorable movie you’ve seen recently? Do you listen to music? What kind of music do you like? What sport do you think seems the most difficult or hardest to learn? Do you like to watch any sports? Are there any foods you’ve never eaten that you would like to try? That should be plenty of questions to get you started. Good luck with your English practice! This entry was posted in blog, Intermediate by Lori. 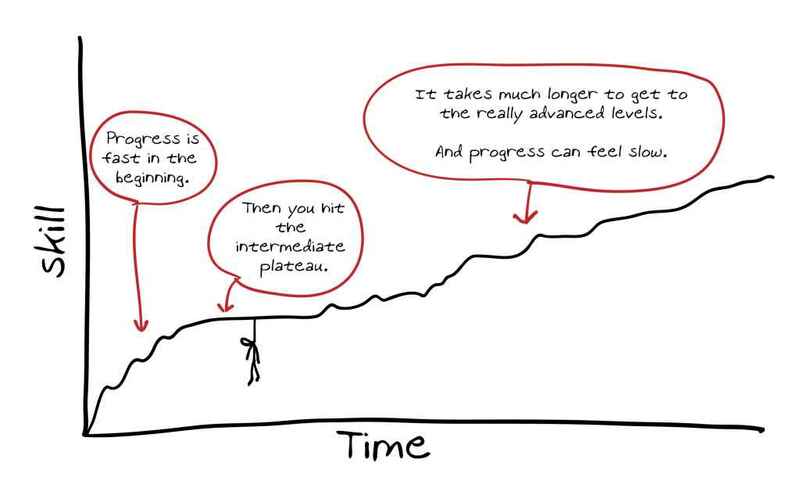 Are you stuck at the intermediate level, feeling overwhelmed and frustrated, and not sure how to make progress? Are you over-complicating things, hopping from one English learning resource to the next and getting nowhere? Are you tired of not feeling fluent? Feelings like these at the intermediate stage are very common. They lead to frustration, and learners often end up over-complicating things and getting even more frustrated. At worst, they give up. Getting stuck in your language learning is normal. But it still doesn’t feel good. Improving your English fluency past the intermediate level doesn’t have to be complicated. It doesn’t have to be frustrating and overwhelming. You can do it on your own, even without a class or a teacher. Try this simple 6-step system for one week. Look at it as a 7-day experiment. You are going to test something new and see how it works. If you commit to the process and put in consistent effort for 7 days, you will be amazed at how much your fluency improves. 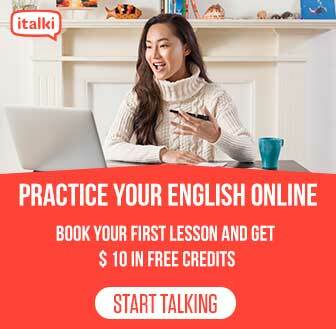 But even better than that, you will have learned a simple and effective system you can use to keep improving your English for as long as you want. This is “teach a man to fish” turbocharged. To be able to speak fluently* about a specific topic for at least 90 seconds. For the next 7 days, you will work exclusively toward mastering this specific task. I’ve broken the fluency-building process down into 6 steps. It’s even got an easy-to-remember acronym: S.T.A.R.T.R. It’s pronounced “STARTER. The letters stand for Select, Test, Analyze, Research, Train, Repeat. Your topic should make your feel like this. Choose a topic that feels interesting and exciting. It should be something that you can look forward to working on for the coming week. It makes no sense to choose something you would never need to talk about, or something that bores you. Can you feel excited about it for a week of study? If yes, then it’s a good topic. Why should you care about finite verb forms? Finite verb forms in English contain a lot of information. They mark number, person, tense, and mood, all of which contribute to meaning. Finite verbs are also the the part of the verb phrase that has to agree with the subject (in person and number). In the example below, the subjects are green and the finite verbs are in bold. If my neighbor’s stupid kids don’t turn down that awful music soon, I am going to lose my mind. Subject-verb agreement is an important part of English grammar. When you make mistakes with subject-verb agreement, it makes it harder for people to understand what you mean. Unless the context is very clear, listeners don’t know if the mistake is in the verb form or in the subject. For example, where is the error in the sentence below? Even if the meaning is clear from the context, subject-verb agreement errors tend to draw more than their fair share of attention, distracting and even annoying the listener. So it’s worth making the effort to get them right! All non-modal English verbs (except be) also change form for the third person singular in the present tense (he/she/it goes). All of this might seem confusing, but the pattern is really pretty straightforward. Look at Table 1 below, and you’ll see it’s a lot simpler in table form. This entry was posted in blog, grammar by Lori.